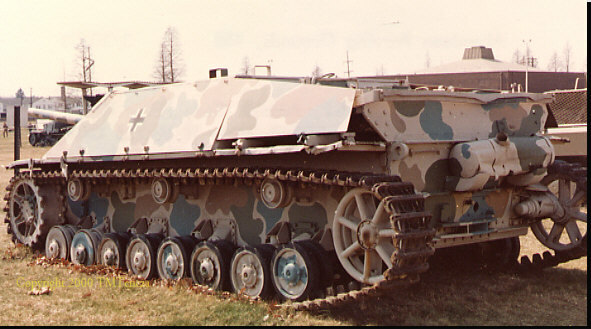 1944 - German Panzerjaeger lV/70 SP 7.5cm Assault Gun (Sd Kfz 162/1) mounted on PzKw IV chassis. Heavily armored turretless AT gun. Over 1500 built. 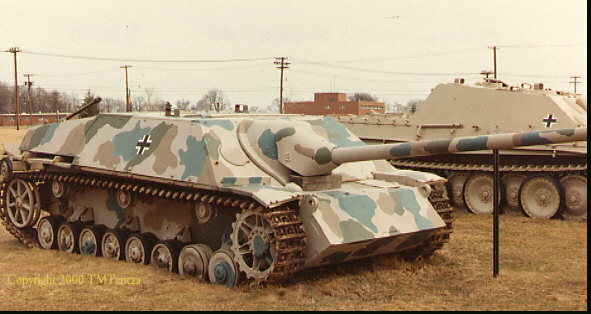 Improved version of the Jadpanzer IV with longer L/70 gun replacing the L/48. First used in numbers during the Ardennes offensive (12/44) when approximately 137 were available. 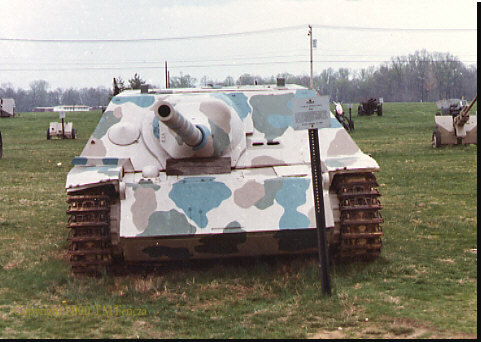 Used as both an assault gun in support of infantry and as an anti tank gun. The long gun made the vehicle nose heavy with heavy wear on the rubber tired wheels which were replaced with steel rimmed wheels.